Joe Biden appears in very good health, with some of the routine issues of aging, but there's no evidence that he has had a brain scan to rule out completely another aneurysm like the one that required emergency lifesaving surgery 20 years ago. The Democratic vice presidential candidate's medical records, released to reporters Monday, show no reason for concern about another aneurysm: He has no symptoms, seems to have healthy heart arteries and is active. 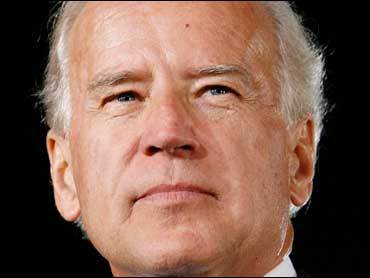 Like many other 65-year-old men, Biden does have an enlarged prostate but no sign of prostate cancer. He takes the statin drug Zocor to keep his cholesterol in the healthy range, and his blood pressure is a good 120 over 78. However, the Delaware senator did have an episode of an irregular heartbeat called atrial fibrillation in July 2006, and possibly a second that corrected on its own. A full cardiac exam that July and another four months later showed no cardiovascular disease. His doctor implied then that subsisting on little but coffee the day the first heart fluttering struck may have been the cause, and urged less caffeine, more exercise and an aspirin a day. Biden doesn't appear to have had another heart exam since. The health of presidential and vice presidential candidates is an issue every election but it's taking on heightened importance this year largely because of questions surrounding the well-being of Republican presidential nominee John McCain, a three-time melanoma survivor who at age 72 would be the nation's oldest elected president. McCain allowed reporters to view more than 1,000 pages of his own medical records in the spring. Democrat Barack Obama did not release actual records, though his personal physician wrote a letter attesting to the 47-year-old's good health. GOP vice presidential nominee Sarah Palin, 44, has not disclosed any information. The Democratic ticket released 49 pages of Biden's medical records, but crucial information was missing, including what if any recent exams Biden has undergone to ensure no further aneurysms. The campaign could not answer if he had ever undergone such a scan. And they provided a Washington physician, Dr. Matthew Parker, to interpret the records for reporters. He didn't know that information either, and had never treated Biden but has donated to the Obama campaign. The Delaware senator is treated by the Capitol physician who never does media interviews. Biden talked extensively on the campaign trail earlier this year about his brush with death in 1988, when an aneurysm - a weak balloon-like bulge in an artery supplying blood to his brain - began leaking and required surgery to literally clip the artery and seal off the dangerous blood flow. That initial aneurysm, which neurologists call a berry aneurysm for its hanging ball appearance, was fairly large, 1 centimeter. But the initial clipping was successful and Biden made a full recovery. Surgeons also later sealed off a smaller aneurysm discovered at the same time. Complicating his treatment, however, he developed a dangerous blood clot in his lung, common during surgical recuperations, and required treatment for that as well. Seven months later he returned to the Senate. The likelihood of another brain aneurysm this many years later is low, said Dr. William O. Bank, a neurointerventional radiologist at Washington Hospital Center who treats up to 150 aneurysms a year. Today, unlike in the 1980s, it's fairly routine for someone to have a follow-up brain scan about a year after aneurysm treatment, to be sure that another bulge hasn't formed nearby, Bank said. If not, that would end the follow-up checks unless new symptoms appeared. The medical records released show no sign of such follow-up scans. "If he were my patient, I'd recommend one," Bank told The Associated Press after being read portions of the records. Still, "the likelihood that McCain would have another melanoma is greater than the risk that Biden would have another aneurysm that would rupture," added Bank, who said he has no affiliation with either party. Biden's chief complaint today is chronic sinusitis, and he underwent sinus surgery in the spring seeking relief. He uses the allergy reliever Claritin-D and the nasal spray Flonase, in addition to his blood-thinning aspirin and Flomax for the enlarged prostate. The records indicate his last colonoscopy to check for signs of colon cancer was in 2001, although its results aren't listed. He also had his gall bladder removed in 2003, during emergency surgery in Florida after experiencing abdominal pain during a weekend vacation in Fort Myers. McCain's records showed him in generally good health, cancer-free and with a strong heart. He maintains a healthy weight and blood pressure and takes medicine for his cholesterol. Critics raise lingering questions, however, about his melanoma, the worst kind of skin cancer. His doctors performed extensive surgery that raised no concern that it had begun spreading, giving him a good prognosis. He undergoes regular skin exams. His running mate Palin is a mother of five who gave birth earlier this year to a son, Trig. Obama's doctor declared him to be in excellent health, with very good cholesterol levels, an outstanding blood pressure and no sign of heart disease. But he is a smoker who has quit but relapsed several times. He announced in February that he was quitting again with the aid of Nicorette gum. His doctor said only that Obama is using Nicorette "with success." He recently said he bummed a cigarette a couple of times during the campaign.